So, you did your due diligence and eliminated all the usual suspects: water supply hose, drain pump boot, door seal boot, but you still get that pesky leak. What’s a grasshopper to do? Note the wet-warped envelope that holds the tech sheet. This is a sure sign that the tub gasket is leaking in a Frigidaire-built front-loading washer (also sold under the Kenmore brand). Click the picture for larger view. Loose tub bolts will make a leak. Ya sure, ya betcha. Yep, I fixed this one by reachin’ waaaaay up in the tub and crankin’ down on those tub bolts. Got half a dozen turns on three o’them bad boyz. Problem solved. We bad! 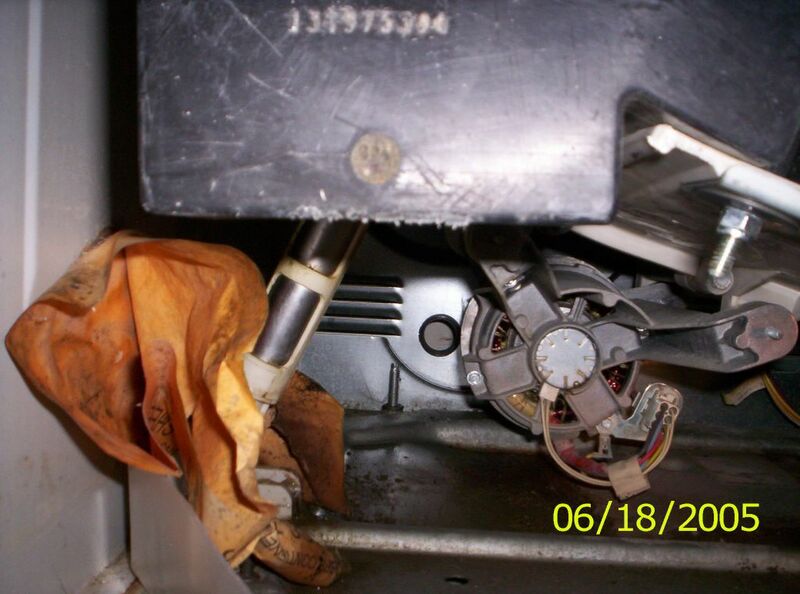 This entry was posted in Washer Repair on July 19, 2005 by Samurai Appliance Repair Man. Can you show me on the picture where are the tub bolts located?? ?